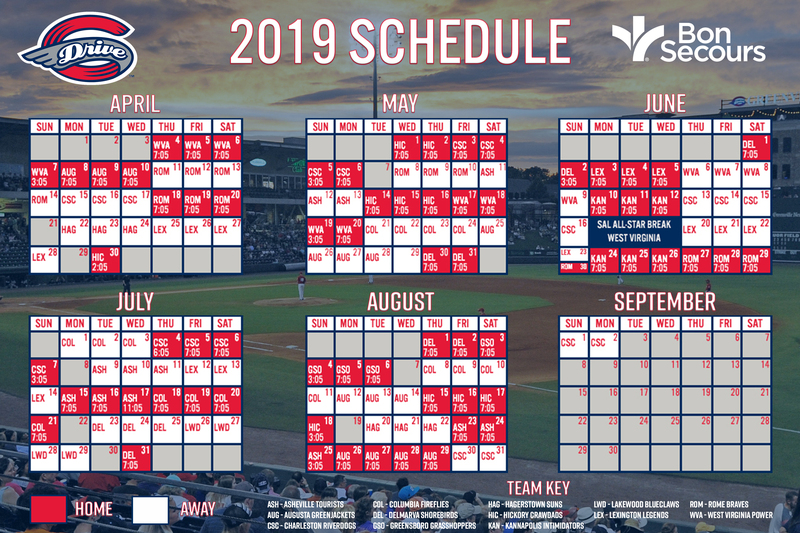 The Drive will host their final game of the first half of the season on Thursday night at Fluor Field. First pitch is at 7:05 PM, and be sure to join us for Dollar Drink Night! 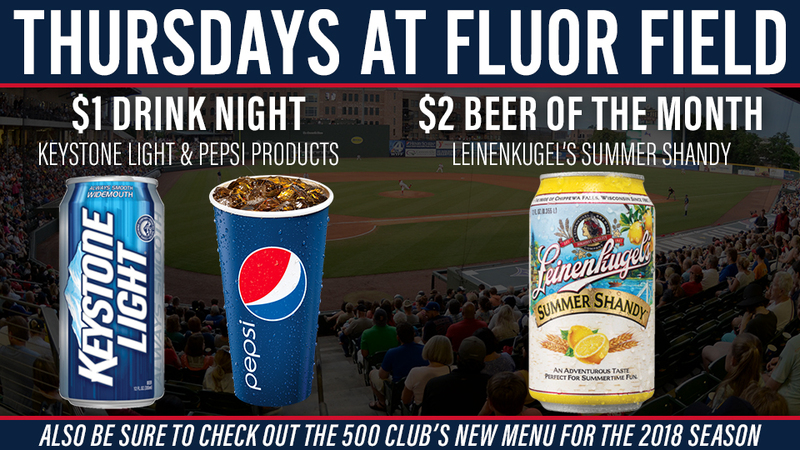 Fans over 21 can head to the 500 Club to enjoy $1 Keystone Light, and in the month of June, $2 Leinenkugel's Summer Shandy will be available as well. Be sure to try out the Drive's new menu in the 500 Club as well to pair with your drink. $1 Pepsi products will be available for purchase as well at all Fluor Field concession stands, and don't forget to order the Hot Tot, the Carolina Pride Hot Dog of the Month. Don't miss out on the fun of drink specials and Drive baseball! Tickets for Thursday's game are available at the Main Street Box Office, by calling (864) 240-4528, or by CLICKING HERE.